Showing 6 articles from May 21, 2018. 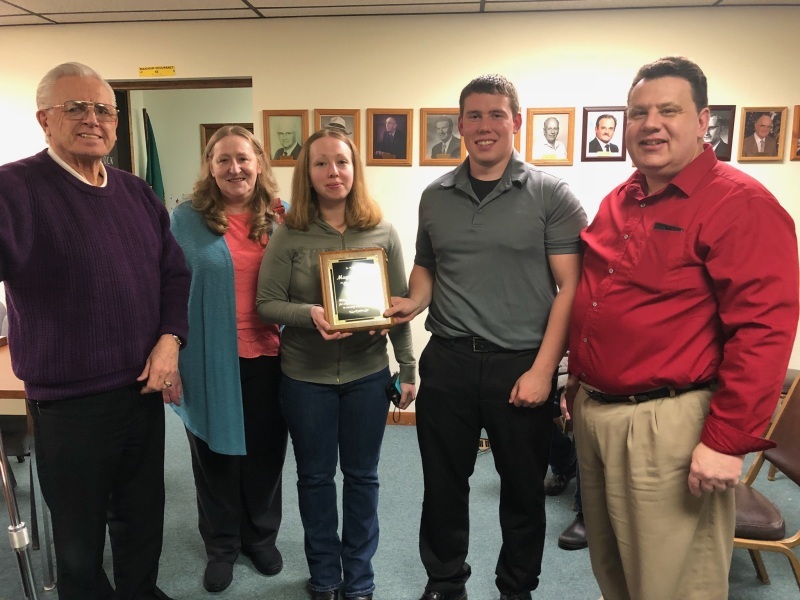 On April 9, 2018 the family of Cy Meyers attended a Winlock City Council meeting where they were presented with a plaque that is now hanging in City Hall. In attendance were Cy's children, Lisa and Sam, along with Cy's granddaughter, Kirsten, and grandson, John. The Toledo Historical Society held its May meeting on Monday, May 21, 2018 at 4:00 p.m. at the Toledo Library. The building will be open at 3:30 p.m. on May 24 at 7:00 p.m. The Toledo Historical Society will present a program about the World War I Centennial and Washington's participation in it. Photo by Tammi Edwards - Senior co-captain Dawson Hall celebrates United\'s third Trico League Title in four seasons. 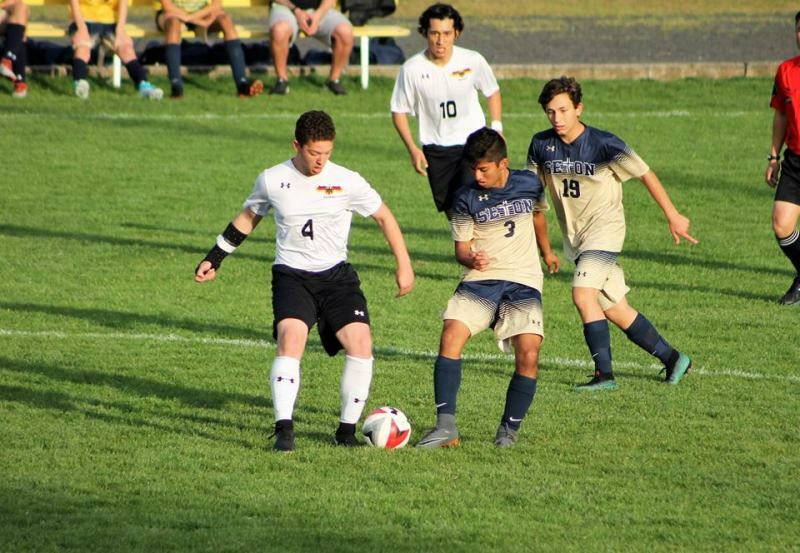 For all of the recent success and rich history of the United boys soccer program (the combined Winlock and Toledo High School squad), neither the program, nor its head coach, Horst Malunat, had never won a state playoff game, until this year. In each of the past 4 seasons, United has won either the Trico League Championship (2015/17/18) or WIAA District IV Championship (2016/17) or both (2017), but always ended up playing the eventual state champion or runner up in the first round of the playoffs. That all ended last week. 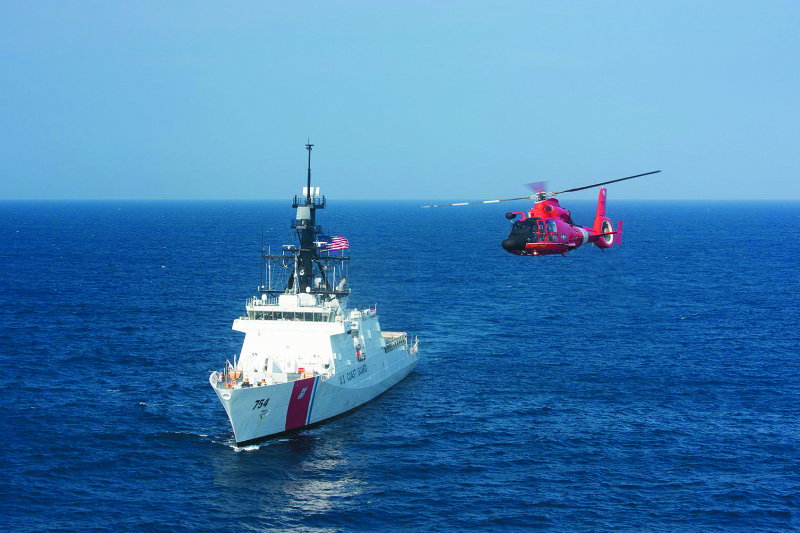 United States Coast Guard Air Crews and Boat Crews spent Saturday evening and most of Sunday looking for a missing fishing vessel in Willapa Bay. The F/V Kelli J was reported missing by the wife of the captain and lone soul on board. She reported he had taken the vessel out and did not return to port as scheduled prompting her to call the Coast Guard. Photo by Jeff Clemens - Dan Lindt pictured left and "Meg-a-tron" pictured right working inside the oyster shack in the middle of a mid-day rush. Coastline Construction owner Shane Moncy and friend Dan Lindt have opened the Oyster Shack next to DSHS in South Bend under the new name OysterBay. For over a month residents and passersby observed the construction as the team setup the location. Moscy and Lindt look to have it open all summer with plans to keep it open during the winter months too. Photo by Jeff Clemens - The Raymond American Legion Post 650 providing a rifle solute to honor the fallen. 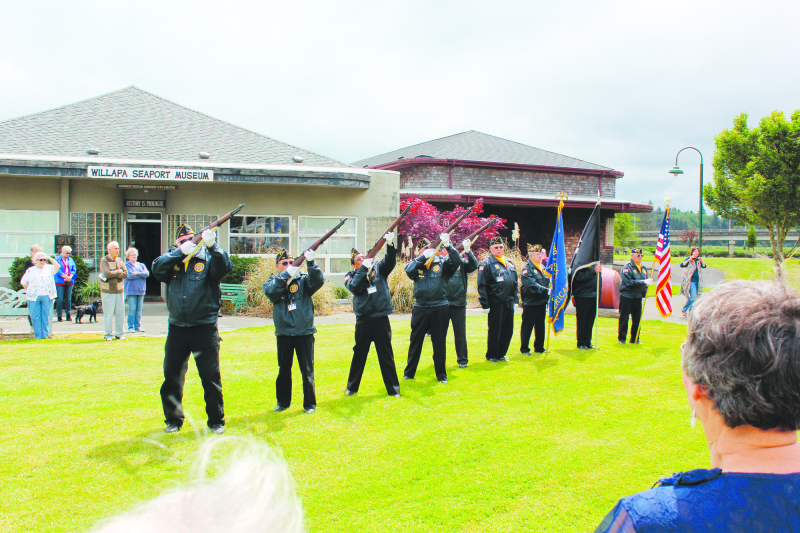 Saturday, May 19 the American Legion Post 150 and VFW Post 968, both of Raymond, held a re-dedication for the WWI Memorial next to the Willapa Seaport Museum in Raymond. Around 100 people were present to witness the ceremony including many WWII, Korean War and Vietnam Veterans. The last surviving WWI veteran sadly passed away in 2011.